Here’s an interesting, savory twist on a Thanksgiving classic – Yams!. This year, skip the marshmallows and add some fresh herbs on top instead. The kids will feel a sense of pride having made a super side for the family table. Tools your kids will learn to use include a vegetable peeler, knife & cutting board, measuring cups, cooking pot, and a fun for kids potato masher. The start-to-eat time is one hour and teaches these kids kitchen skills: peeling, measuring, cooking at the stove and that fun mashing. This Thanksgiving, get the kids to help you with the cooking. Mash up a scrumptious side dish with this recipe. Give it some extra flavor by adding roasted garlic, if you’d like. Ingredients include sweet potatoes, roasted garlic cloves (optional), cream, butter, grated fresh Asiago or Parmesan cheese, salt, pepper and fresh thyme. During the big feast on Thanksgiving Day, go around the table and share what you’re thankful for. Download our Gratitude Game and record everything from A (Aunts!) to Z (Zoos!). 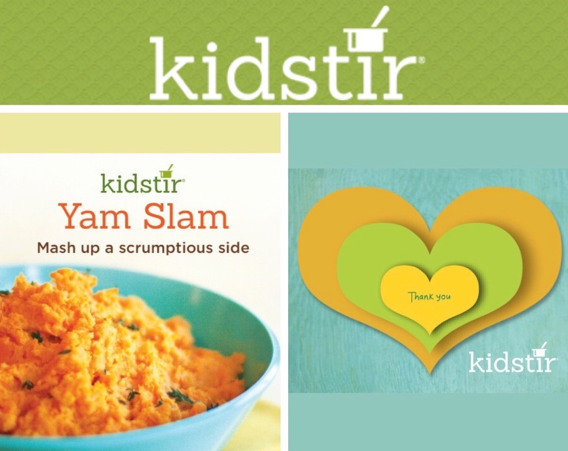 Check out our collection of fun kids cooking games! This year, we’re grateful for… YOU! 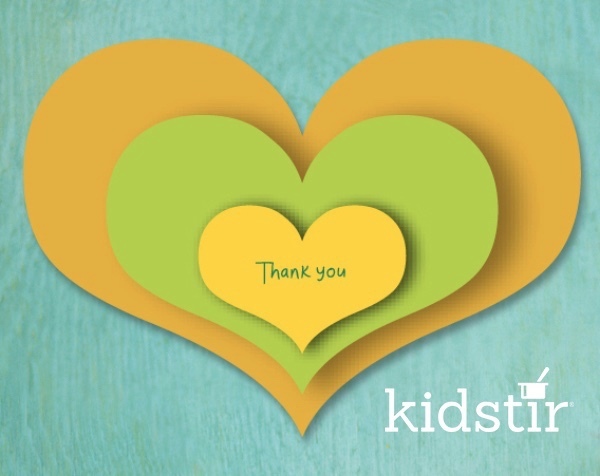 We’re honored that Kidstir is a Dr. Toy’s Top 100 Toy and Top 10 Socially Responsible Toy, and that we’ve been featured in Food Network, Parents, FamilyFun, CoolMomPicks, Grandparents, AblePlay and more. But most of all- we love the notes we receive from real families like you! Thank you! Black Friday Sale: Up to 75% off! Yes, yes, yes, the year’s best deal is here! You’re welcome! Gift a new subscription and pay as little as $3 for your first kit! Use code BESTDEAL at checkout and get an amazing discount off all new subscriptions. Place your order now before our delightful Winter Wonderland kits are gone! 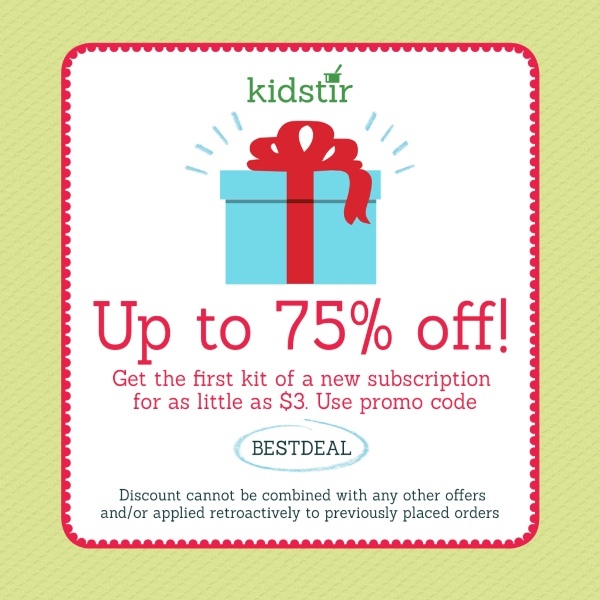 Order a prepaid 12 month subscription and you’ll pay under $3 for this tasty trifecta: your first kit ($12.95 value), a cookbook binder ($24 value), and a 2 year subscription to a favorite food or family magazine ($8 value)! Wow! Previous post: Kids Gift Guide & Reviews!